8 Steps to calming your worries and getting your taxes done. 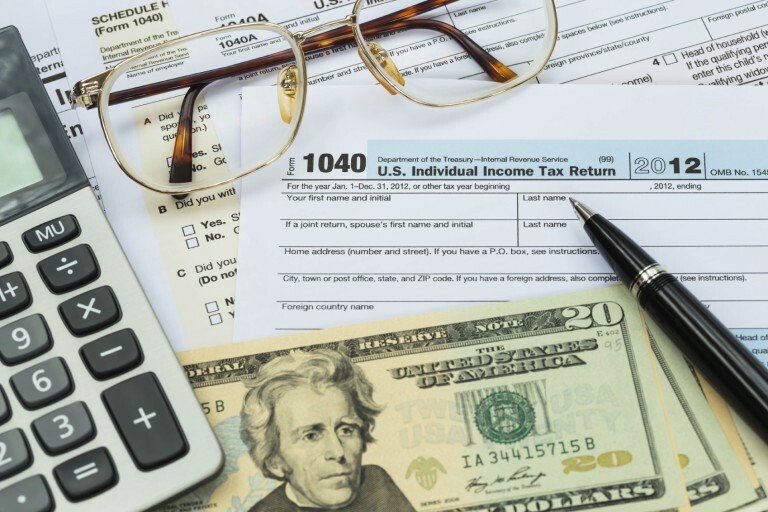 Death and taxes are two of the few certainties in life — and also two of the most worrisome. I’ve known people to literally become physically sick at the mere thought of preparing taxes. They describe having to pay taxes in much the same way people talk about their fear of going to the dentist or even flying. As a result of this fear, they do what so many others do: they avoid it for as long as possible. They look at ways not to gather their tax forms, not to make an appointment with their accountant, and not to do that which is required of them by law. However, with most fears, the anticipation is often worse than the actual act. Taxes are no exception. 1. Educate yourself. Many people fear what they don’t know and don’t understand. Taxes can be confusing and complex. Talk to experts, make an appointment with an accountant, or read a user-friendly book. This will help you to understand what you’re doing and will provide a sense of control. 3. Know where your money is going. Contrary to what you may think, not all the money is wasted or goes to programs that have nothing to do with you. Consider for just a moment how roads are maintained and fire and police personnel are paid: your taxes. 4. Be organized. By maintaining careful financial records throughout the year and being aware of what’s coming in and what’s going out you’ll help to keep anxiety to a minimum. Rather than taking your first look at these records just before tax filing look at them quarterly and know where you stand. This will lessen the emotional burden post-filing. 5. Re-frame your thoughts. Rather than thinking “I hate paying taxes”, think: “It’s the law and keeps our infrastructure in place and society running smoothly. I’ll do my part”. 6. Don’t delay. Doing so only prolongs the inevitable and increases the anxiety. Take care of business now. 7. Be transparent. It goes without saying, be transparent and present your earnings and financial information without any deception or holding back. If you’re filing jointly it’s also important not to keep financial information such as investments that may have been lost over the past year from your partner. Doing so will only create tension in your relationship. 8. Be honest. If you file and later discover that you missed something then you can amend the return. Not disclosing an error will only create more anxiety and problems down the road so best to fess up and deal with it now. No one likes to be told what to do, especially when it comes to their hard-earned money, and this is exactly what Uncle Sam tells us. But like death, paying taxes is a part of life for many of us. It’s not pretty and can highlight our money woes. However, these eight ways can help you overcome feelings of powerlessness, face your fears, and get those taxes filed. For more tips on reducing stress and anxiety check out my book Be Fearless: Change Your Life in 28 Days. Originally published at www.huffingtonpost.com on April 8, 2016.